Here at Knox Carpets, we take the installation of our products very seriously. We want to ensure that you’re as thrilled as possible with the final result. But when we leave, there is still the battle of keeping it clean and in tip top shape. We want to help set you up for success so we’ve put together a compilation of our best carpet cleaning tips and techniques. 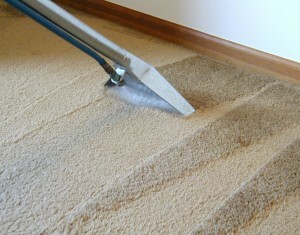 There are four basic methods of carpet cleaning. These are carpet shampooing, dry powder method, bonnet method and steam cleaning. Carpet shampooing is based on the objective to generate as much foam as possible within the carpet, then allow the foam to dry. The residue that results attracts dirt and grime. The next day when the foam is vacuumed up, so is the dirt and grime. When you’re looking for carpet shampoo products, keep an eye out for high foam levels, stable foam, high lubricity and a non-sticky residue when the foam dries. The most common ingredient is sodium lauryl sulfate. You’ll also frequently see one of its relatives. Sodium lauryl sulfate exhibits very high and very stable foam. Carpet shampoos will also contain an anti-resoiling additive like a resin so that the likelihood of resoiling is significantly lowered. There are two different machines that are used in this process. They’re the Cylindrical Foam and the Rotary Shampoo. The Cylindrical Foam machine generates dry foam using an air compressor. Then the foam is agitated and worked around with a revolving cylindrical brush. The Rotary Shampoo uses the same type of machine you see for stripping wax. Then it sprays shampoo onto the carpet and allows a rotary brush to whip the detergent and turn it into foam. Dry cleaning uses a dry absorbent compound, which is sprinkled over the carpet or worked into the carpet, using a machine. The compound is composed of water, detergent and solvent. The science behind this process is that the liquids dissolve the soil and then the compound is absorbed into the carrier. It can then be easily vacuumed. The absorbent cleaner can be organic or polymers. Because little water is used, it’s a very low maintenance cleaning method. The Bonnet Method is an adaption of hard floor spray buffing, but it’s applicable for carpets. It uses an oscillating brush or a rotary brush with a stiff brush to drive cleaning pads. This method isn’t the best for cut pile, it will lead to distortion and fiber damage. It has more limited capabilities to remove soil. Because it doesn’t employ real extraction, a lot of the detergent can remain in the pile. Most fiber producers will recommend steam cleaning or warm water extraction. It’s the only method that’s really considered to be a “deep clean”. It’s referred to as steam cleaning due to the fine spray of water, which helps pull dirt out of the carpet. Then the dirt is sucked up by a vacuum into a holding tank. There are a couple of different options for the holding tank, including a truck-mounted unit outside of your home or business, or by a portable system. In general, the truck-mounted system is preferred, because it keeps the humidity and the dirty air outside. When in doubt, give us a shout. We can make the best recommendation for your particular Knox Carpet.